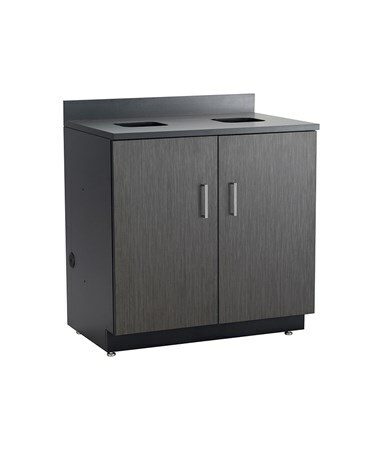 The Safco Hospitality Waste Receptacle Base Cabinet is a modern looking and tough modular cabinet with built-in waste management for a variety of environment. 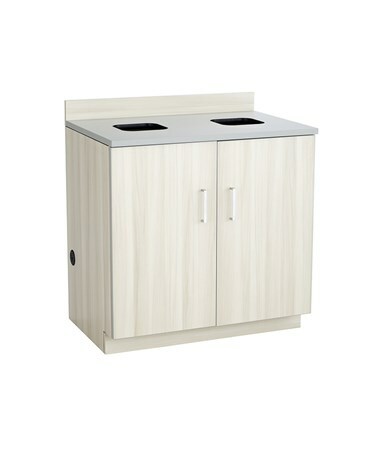 It is a two-door cabinet with two waste management ports on the countertop and an open storage inside. Also featured are a three-inch-high backsplash and flexible grommets integrated on the countertop and side panels for cord management. Each door has a contemporary brushed nickel hardware pull handle and a soft self-closing mechanism. The cabinet’s base also includes integrated, easy-to-use floor levelers. 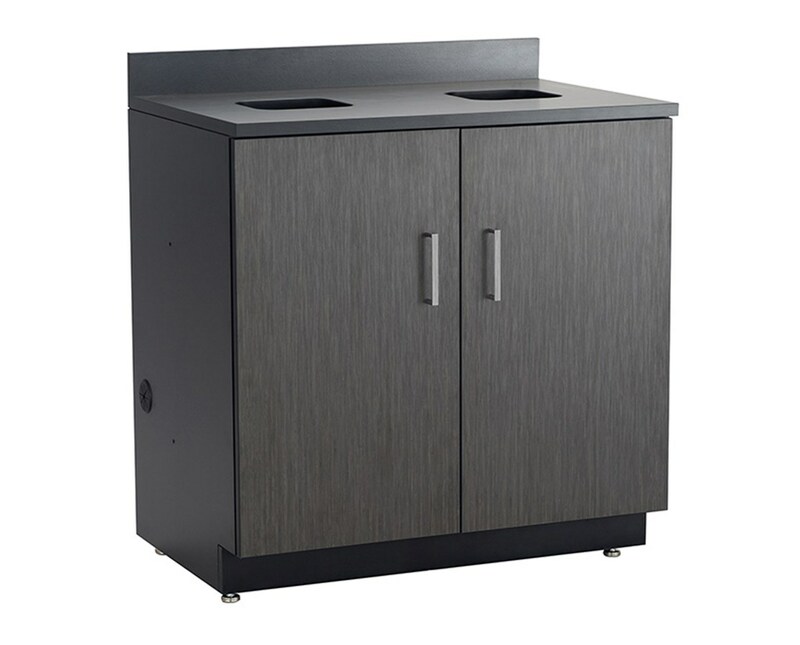 The cabinet’s body is made of ¾-inch thermal fused melamine laminate, while the countertop is a one-inch high-pressure laminate with 2mm PVC edgeband. This makes it resistant to heat, moisture, stain, and abrasion. The Safco Hospitality Waste Receptacle Base Cabinet is available in three different colors. Please select your preference from the drop-down menu above.